Amy Savage, a Professional Percussion Specialist living in Chapel Hill NC, is an educator, performer, arranger, composer, and clinician active in the development of the contemporary concert and marching percussion ensemble. 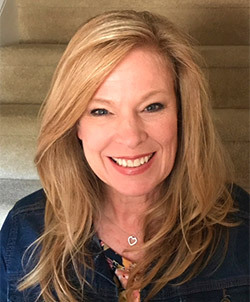 Currently, Amy serves as percussion consultant and instructor for several high school marching band programs in the Raleigh-Durham area and the Southaven Band in Mississippi. In the summer, she teaches at Yamaha Sounds of Summer Marching Percussion Camps for Matt Savage in NC and Alan Keown in OR, and the University of North Carolina Percussion Camp in Chapel Hill. In the winter, she serves as an adjudicator for the Atlantic Indoor Association. Previously Amy was a full time Percussion Specialist with the award winning Concord High School Band in Indiana. Her lesson studio includes students of beginning to advanced levels throughout the US and into Canada. Amy’s extensive teaching and arranging experience with several Drum and Bugle Corps includes the Garfield Cadets, Bluecoats, Glassmen, Poynton Commodores (England), and Starriders (Germany). As a member of the 1984 World Champion Garfield Cadets, Amy was awarded the DCI Individual’s Champion in ensemble percussion. During this time, she received her Bachelor’s Degree in Music Education from Miami University in Oxford, Ohio. Along with post-graduate work at several universities, Amy studied with world-renowned percussionist Gordon Stout of Ithaca College, New York. Her performance experience in concert percussion includes playing with the Lexington Philharmonic in Lexington, KY, the Regina Symphony in Saskatchewan, Canada, and several orchestras and opera companies across the United States. Amy is a Yamaha Performing Artist, and is an Educational Clinician/Endorsee for Sabian Cymbals and Pro-mark Drum Stick Companies. She was named in the 2002 and 2004 Who’s Who Among America’s Teachers, and is a member of the Percussive Arts Society.